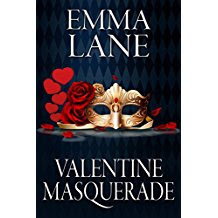 A perfect Regency Romance from the incomparable Emma Lane for Valentine’s Day. Actually, this book is a pleasure to read any day. A firm believer in love and all things beautiful, Emma dedicates these two stories to love and lovers everywhere. Two of Ms. Lane’s most interesting characters return in a vignette of mature family romance and affection as Lady Jane discovers the authority of the title, Duchess of Leaver. Romance shimmers with suspicious matchmaking in progress, while a whimsical young viscount creates a hilarious solution to end a perplexing mystery. Into the blissful partnership between Lady Jane and her faux pirate, the Duke of Leaver, an old enemy reappears causing consternation.